Upper Deck: Hello David, would you like to introduce yourself? David Nakayama: Hello from the beautiful city of Honolulu! 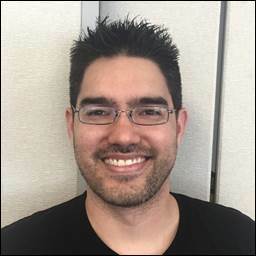 I’m David Nakayama—freelance illustrator, concept artist, and art director probably best known for my Marvel Comics cover art (X-MEN, DEADPOOL, ANT-MAN AND THE WASP, ROCKET RACCOON, STAR WARS, and many others). As an Art Director at Jam City, I also led the art teams for MARVEL AVENGERS ACADEMY and the new blockbuster hit on mobile HARRY POTTER HOGWARTS MYSTERY. DN: For me, creativity is about evoking an emotion in the viewer. 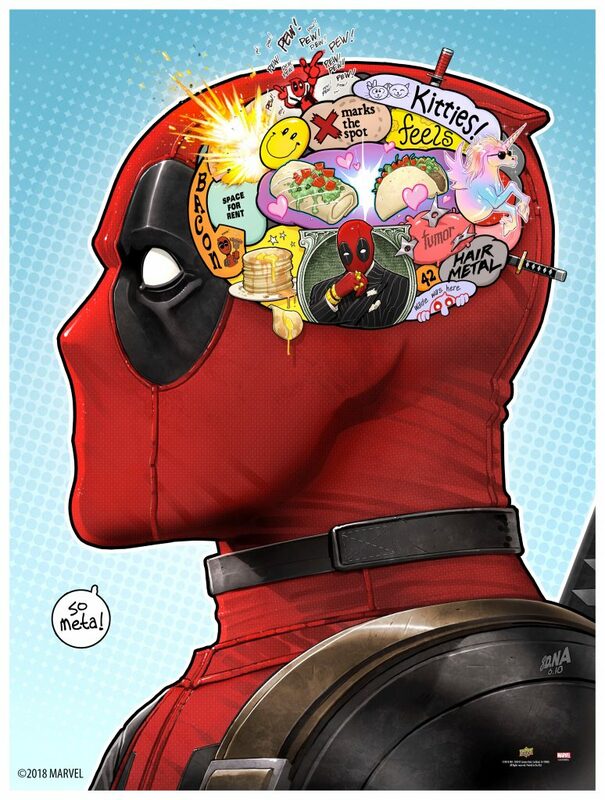 When people look at my art, I want them to laugh, solve a puzzle, be intrigued, marvel at the detail, or even better, all of those things at once! My specific flavor of art is a hybrid of strong graphic touches (heavy outlines, rich colors, clear shapes) combined with painterly, textural interior detail. I like the way those two approaches mix with each other and make the viewer’s brain work a little as it tries to decide whether the art is 2D or 3D. DN: My mom would tell you that I’ve been drawing since I was 5, so I guess it’s just a natural inclination? I like the challenge of figuring out each new artwork that I attempt, and I like the magic trick of it—that is, making someone see something real that actually communicates, when it was just a blank white page hours earlier. On top of that, I just fell in love with comics and comic art at some point and realized that was my jam, y’know? DN: To start each piece, I like to draw tiny 1-inch layouts in a notebook, just to figure things out and explore different compositions. All concept, no detail. Then I like to draw as loosely as possible in Manga Studio, trying to preserve the energy of whichever sketch wins out. Then it’s on to Photoshop for color flats, dark and light rendering passes, and finally tints, textures, FX, plus whatever fun bells and whistles I can think of. DN: I love the humor and draftsmanship of Adam Hughes, the sexiness and stylish forms of J. Scott Campbell, the detail and energy of Jim Lee and Marc Silvestri (whose X-Men issues got be interested in comics and art in the first place), and the painted elegance of video game concept art. I’m always trying to channel those things whenever I draw. DN: As a kid, definitely Transformers. As an adult, mobile games. I love being able to get a quick hit of gaming on my phone wherever I am, and it really fits the lifestyle I have now, where I’m busy with kids or work, and there’s not much time left for games. DN: I love it all, and I’m happy to take clients in any industry. What matters more to me is that I’m doing art I actually like making. For me, that means it’s focused on a character of some sort and done in a stylish, energetic way. That’s my wheelhouse. Found out after a few years in video games that I’m not really the ‘architecture guy,’ per se, but I really thrive on character. DN: It’s usually the newest, most recent one honestly! I feel like I’m learning all the time how to be better at what I’m doing, and the latest work always reflects everything I’ve learned so far. Sure, I have fondness for my older stuff, but I definitely feel better about sharing the new hotness! DN: I feel like I’m living the dream already, drawing covers for my favorite comic publishers. 10-year old me would be so excited that it actually worked out! But I guess there’s always another mountain to climb, right? For me, the dream right now would be to do a run of covers for a major A-list book or some sort. Like the core Spider-Man, X-Men, Deadpool, Captain America (etc., etc. I really like ‘em all). That’s a major goal I’m always working towards. In the gaming space, I’m excited about the prospect of contributing to a AAA title as a concept or marketing artist contributor. DN: I’d love to jam with one of my art heroes of course. That’d be surreal and wonderful. In terms of writers, I really dig what Waid, Bendis, Ellis, Fraction, Cates, Ewing and King are up to these days, and I’d work with any of them in a heartbeat. In games, man would I love to work with an Insomniac, Guerrilla, Rocksteady, Santa Monica, Crystal Dynamics or Blizzard level studio. Lot of love for the work I’m seeing coming out of those studios. DN: Fortunately nothing insurmountable. The trick on a piece like this is that you REALLY have to communicate clearly. Every little piece of the puzzle has to read or the gag falls flat. Something like this is a lot harder than your run-of-the-mill illustration—there’s actually a lot of writing baked into it, and it also doesn’t work if I get the character’s voice wrong. Takes a lot of extra effort behind the scenes to make a piece like this one work. DN: Just that I can’t wait for people to check it out. 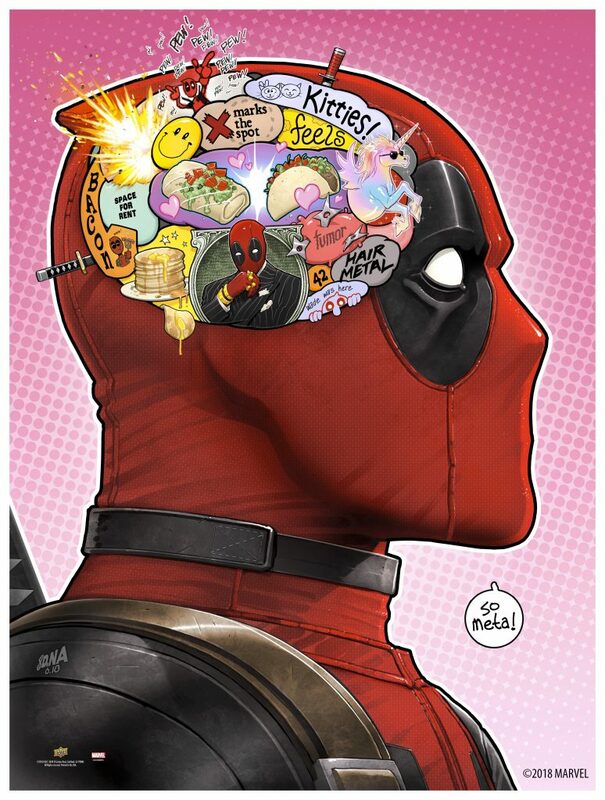 I’ve been fortunate to draw a lot of fun Deadpool covers recently, but this one’s just next level in its meta-ness. Hope the fans really enjoy it. Cheers!